And, the final book in J.A. Huss' Jordan's Game series is here. If you're unfamiliar with this series, it's VERY adult and VERY NSFW. Which is likely to say that Play Dirty is a must-read for any reader who loves a little adult romance. To learn more about the book, and the series it is from, follow the cut! Do you love fairy-tales? Do you love YA? Do you love fairy-tale retellings... in YA? If you answered yes, then Dark Water by J.A. Armitage is for you. Dark Water is a the fourth installment of her series Reverse Fairytales and tackles the beloved classic The Little Mermaid. I'm so excited to be a part of the blitz because Dark Water is one of my most anticipated reads this year and, well, we could always use more tales like these! To learn more about the book, and the series it is from, follow the cut! And don't forget to enter the giveaway. This October, your next YA fantasy obsession will be here. And I have your first look at the beautiful cover art for book one of the new series, Maiden. So, mark your calendar and prepare yourself for the official publication, the beginning, of the Lightwalker Series by Teresa A. Harrison! Attention, attention, lovers of YA and thrillers! If You Wrong Us by Dawn Klehr has a wicked new anniversary cover that will surely chill you to your bones. It's time to get ready to fawn over it in all its creepy goodness. LIVE, FROM CHICAGO, IT'S... ANOTHER TOP TEN TUESDAY! (I promise I won't get so cheesy with my introduction again. For at least two posts.) 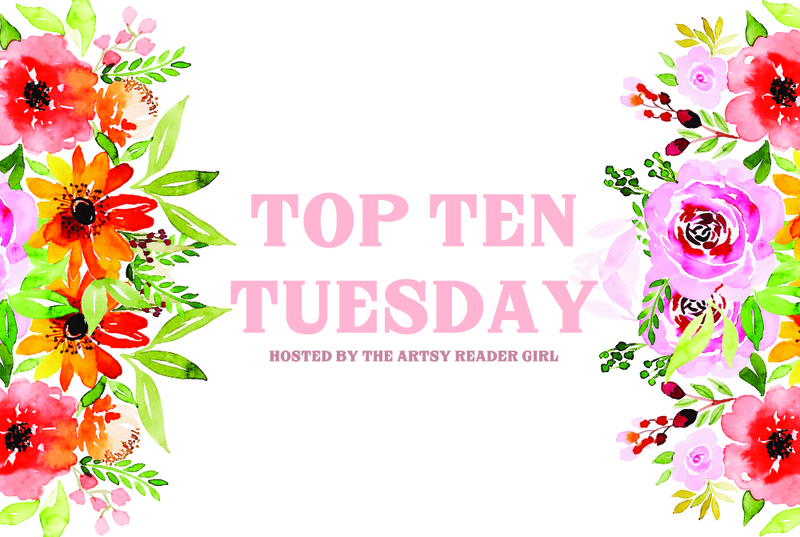 For those of you who are new to my blog, or the book blogging community, Top Ten Tuesday is hosted by the Artsy Reader Girl, originating over at the Broke and the Bookish, and is exactly what its title hints at. Each week, we receive a new topic to discuss on Tuesdays. 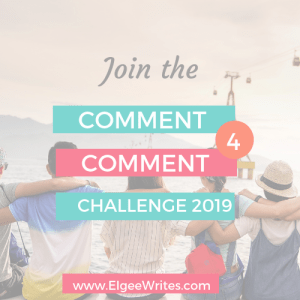 It serves as a fun way to get to know one another in the book blogging community and is by far one of my favourite parts about blogging. This week's theme is one I've been looking forward to for ages: Books to Read at the Beach. For me, I love reading in the sunlight at one of my favourite beaches and there's something so fun about curling up outside; the sound of the water moving as I read the pages of something fun. We all have such varying tastes when it comes to literature. When I hear beach reading, I think fluffy, but that is not an exclusive thought. So, let's get going--here are my favourite beach reads. You know when a book hooks you from the first line of its synopsis? "How far would you go to find yourself?" is one of those sentences that captures you attention instantly and leads you into a series of questions. Which is exactly why I'm so excited to be a part of the tour for Identity Break--a book that is sincerely underrated. I really wanted to like this book more than I did. I loved, loved, loved 99 Days. Katie Cotugno just, typically, knows her way into my heart with her books. While 9 Days and 9 Nights was far from bad--and, in truth, quite enjoyable--it just left me with this feeling of being utterly underwhelmed. There were plenty of good moments in the story--the complexities of emotion that Cotugno is so keen on exploring in her stories, the sheer awkwardness of specific moments, the sweet moments in other portions. We've got a bit of a catch up to explore in Molly's life that readers will be familiar with. Looking back to where she was in the previous book, readers will be faced with a character who has changed in many ways. 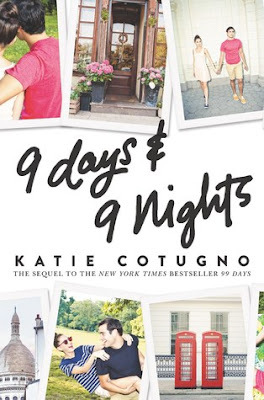 This is what makes Katie Cotugno's stories so special. Her characters are developed in a way that is visible to readers. For fans who cannot seem to recall the happenings of 99 Days, we are given a bit of a refresher at the start. For the first time in ages, I felt truly captivated by a YA contemporary novel. Lately, meaning around the time that I picked up The Midnights, I felt as though I were in a never-ending reading slump when it came to its genre. There's something in Sarah Nicole Smetana's prose that packs a serious punch and kept me riveted from the first few pages, effectively knocking me out of my slump and moving me. 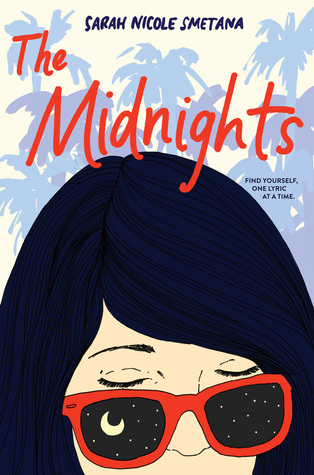 I think that's the first thing readers need to know about The Midnights--it's moving, it's a true coming of age story that provokes thought. And if you want to feel something, this is the book for you. Although the plotlines aren't at all similar, beyond the loss and the weaving of music through the pages, there's just something in The Midnights that feels emotionally reminiscent to If I Stay by Gayle Forman. It is undeniably its own story and by far one of my favourite YA releases of 2018. This is, naturally, due to Sarah Nicole Smetana's unflinching honesty and ability to tell a story. As she writes Susannah, you feel as though her words command you to listen. And just like that, it's Tuesday once more! I mean, didn't I just post last week's entry like .2 seconds ago? Time really does fly when you're having fun. For those of you who are new to my blog, or the book blogging community, Top Ten Tuesday is hosted by the Artsy Reader Girl, originating over at the Broke and the Bookish, and is exactly what its title hints at. Every week, we're given a topic in which we rank our top ten. It's a fun little way to get to know each other and it's definitely become something of a tradition in our little community. This weeks topic of choice is: Books That Awaken the Travel Bug in Me. I.E., what books make you want to go places and do things and see stuff. Let's get this out of the way before I even start: I adored Sweetbitter. Like, a lot. A lot, a lot, a lot. So much so that I am pretty sure I highlighted about 75% of the book as I curled up to it. 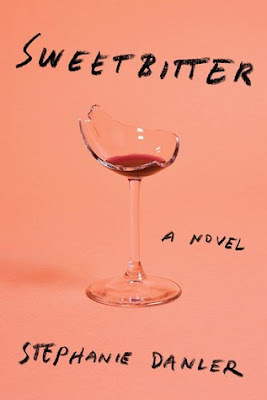 Sweetbitter is truly deserving of the hype and praise it has gotten since its original publication, due entirely to the fact that Stephanie Danler so eloquently portrays our early 20s. If you take Sweetbitter out of its setting, out of context, you have a very captivating spin on those years between still being a naive girl and adult-hood that could be transplanted nearly anywhere. Which is what ultimately makes Sweetbitter work as this delectably complex coming of age story. There was this weird feeling that overcame me as I read the book: as I near my late 20s (let's not talk about it) I've never quite felt a nostalgia for my twenty-second year but there was this quality to Sweetbitter that resonated with me and made me nostalgic for that particular year. 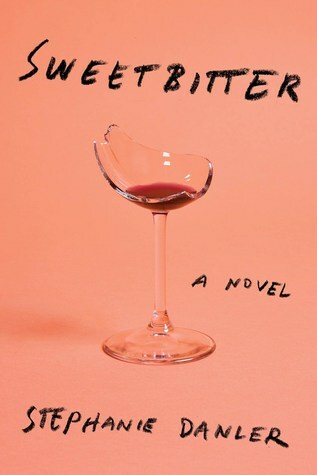 Sweetbitter is not an ode to being 22 ala Taylor Swift, but a frank story of how one woman stumbled into a new-world and is now ever-changing. 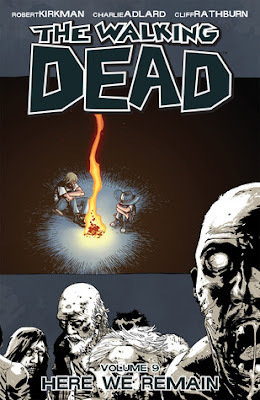 I think we can all agree that The Walking Dead is one of the most iconic comics in the modern horror genre both because of the show's obscene popularity and the comics startling beginnings. Volume 9, Here We Remain, reminds us why the series has spawned such a large fanbase that only continues to grow. Here We Remain is both terrifying and heartbreaking in its base of emotions. Which is both an incredibly moving trait and overwhelming. We saw the end of an era in the previous installment that was what laid the groundwork for this one. Here We Remain is a testament to the fact that The Walking Dead is more than just another horror-themed zombie story, there is this startling amount of humanity and soul even as we see these characters forced to move forward in the face of loss and terror. Here We Remain signals another change to the story as Rick and Carl struggle with the deep cut of loss and begin their next chapter. The sense of doom lingering in the background like the shadow it has always been. The thing about Here We Remain is that, now that we've lost so many more, it reminds us of the dire situation these characters are in. And how utterly unprepared they are. Sometimes it feels like there's just way too much to talk about. Which is why I am (very likely) bull-shitting my way through a wrap-up of general Bookish Talk. 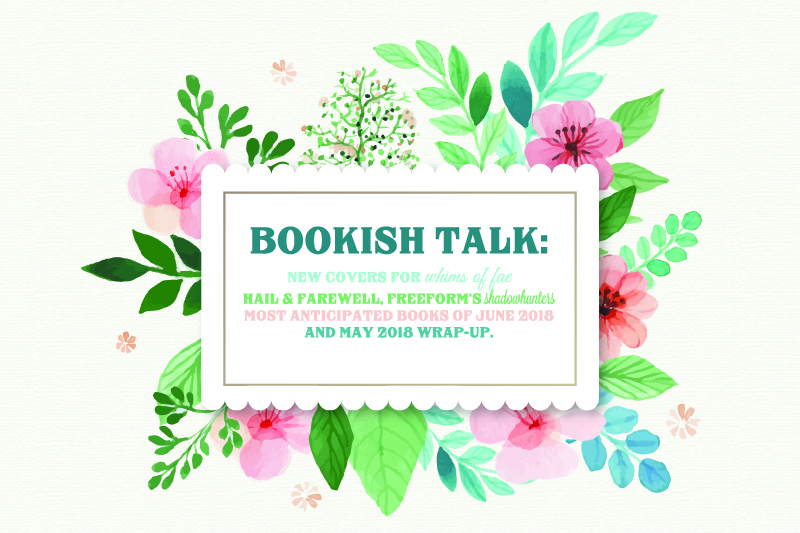 There's been a lot to talk about re: the book community lately... but when is there not? We're always moving, always talking, always (see: mostly) reading and expressing our thoughts. And last month--and the first few days of this month--have been full of things we should definitely chat about. So grab a cup of your favourite beverage. Coffee, tea, wine, juice, hot chocolate, smoothies, energy drinks, water--whatever it is, pull up a chair and let's get down to business. Ah, #TBT. Such a tradition of nostalgia. While I am all for throwing it back to some very retro, very embarrassing, photos on Instagram from time to time, I had wanted to something similar for book blogging for the longest time. Then, exactly one hour and one glass of wine ago, I thought, "Hey. Wouldn't it be fun to bring back some old Top Ten Tuesday questions?" After-all, it would be part throwback and part newness seeing as I didn't start posting during Top Ten Tuesdays until late last year. Meaning, there's SO MANY old topics that are beginning to be explored and I was more than keen on this idea. For those of you who are new to Top Ten Tuesdays, the idea is exactly as you'd expect from the name: book bloggers are given a weekly topic, to which we all are able to provide our own answers to. 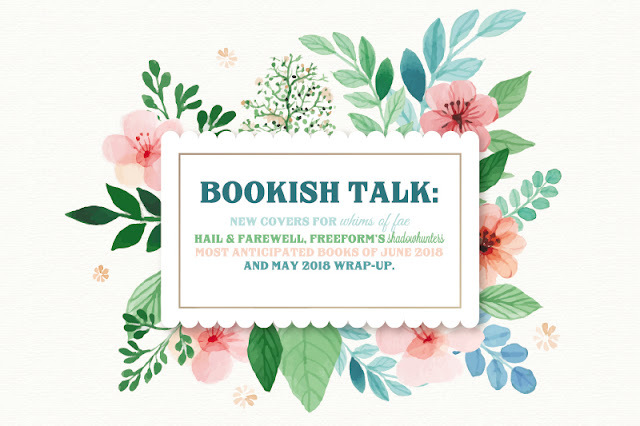 It's a fun way to get to know one another and it all began over at The Broke and the Bookish. This week, we're going to be tackling the topic of Childhood Favorites. Which appears to be a TTT from all the way back in 2010. Can you believe that was eight years ago? 'Cos I certainly can't. But enough chit-chat, let's do a little of this-and-that. First thing is first: I can't believe I haven't posted a Top Ten Tuesday since December. Damn. I am so bad at keeping up with things these days. As a quick update, not only am I working on my first True Crime novel--centered around the murder of my aunt in the 90s--and have found myself with more questions than answers while being immersed in that research, I have been looking into apartments and jobs. Basically, it's been a hectic year so far and I've been staying busy. That being said, this particular Top Ten Tuesday is going to be posted on Wednesday around midnight and not on Tuesday. I'm fake like that. And, if you couldn't tell from the spiffy new banner in honor of spring and summer, Booked J is going to be getting a serious makeover by the end of June. For those of you who are new to Top Ten Tuesday, it is a weekly entry amongst the book community in which we get to know each other a little better. Originally, it was hosted by The Broke and the Bookish and nowadays you can find it at its new home at The Artsy Reader Girl. Every week, or every entry, centers around a specific topic in which we list our--you guessed it--top ten favourites. Exciting! This week's topic is Books I Decided to DNF too Quickly. Which was a bit of a difficult one for me, personally. It's like Loretta over at Laughing Listener said: I rarely leave something unfinished. Especially books. But, after doing a little digging, and by a little I mean I am presently covered in the dirt and dust of my mind, I think I found just enough to include on my personal list. 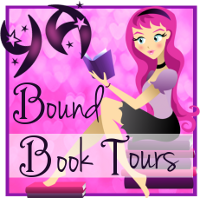 I'm so excited to be one of today's stop on the blog tour for Cathrina Constantine's fantastic Wings of Flesh and Bones. Fans of YA that twist fantasy and paranormal elements together will flock to this release by Cathrina Constantine. It was so fun! I'm so glad to have jumped at the chance to participate. You know what to do. Follow the cut for my thoughts and all the information you need when it comes to Wings of Flesh and Bones. Have you ever had that feeling where you're just inexplicably drawn to something before even reading it? After reading the blurb on the first book in Barbara Pietron's YA Urban Fantasy series, there was something bubbling in my mind over the concept. Which is why I jumped on the chance to participate in the blog tour for it--and I am glad I did! Get ready, YA fans, because Legacy in Legend will blow your mind. 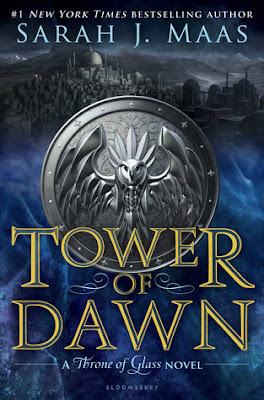 Oh, I had high hopes for Tower of Dawn. I always felt that Chaol Westfall had so much more to offer than we'd been given in the course of the series and Maas obviously felt the same too. Although I had a lot of love for Chaol at the start of Throne of Glass, my interest in him faded as his character became less and less like what I'd assumed he once was. Admittedly, this fact is what caused me to just procrastinate Tower of Dawn for as long as I have. I just didn't have enough interest in picking it up for these few months that I've had it in my possession. Maas, of course, forever has a pull on me in spite of this. I picked it up one day and finished it within the span of two days. I'm going to be honest with you: Tower of Dawn is not my favourite installment in the series but it's still solid and thrilling to the extent that we all expect from Maas at this point. The woman knows how to pen a story and even the ones that aren't fully my cup of tea are beautifully crafted, quality stories that are equally romantic and full of fantasy. Woo, woo! Today's the day! We've got your first look at the cover for J.M. Sullivan's Second Star. You know what to do--follow the cut.